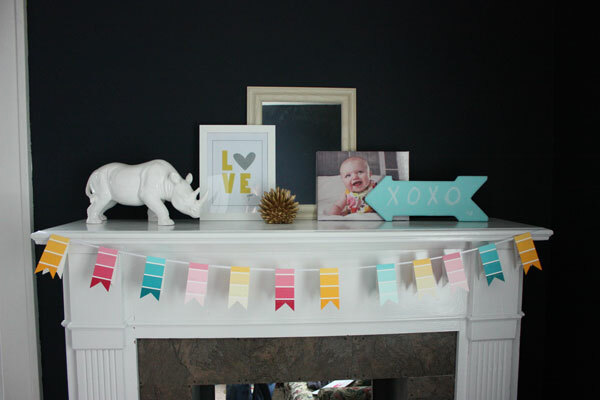 I decided that the mantle was missing a little something personal… so I gathered my supplies! 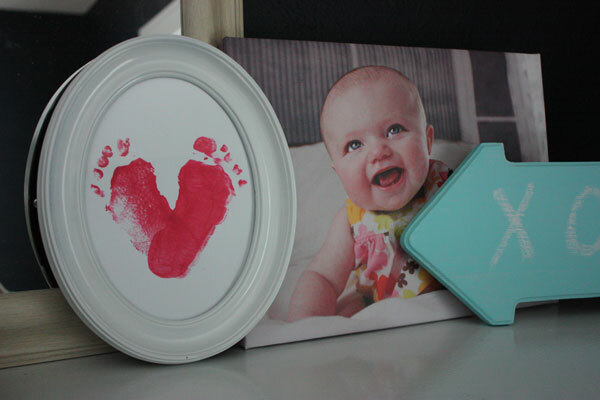 For this project you’ll need paint, paper, a diapered baby and an assistant it definitely useful! 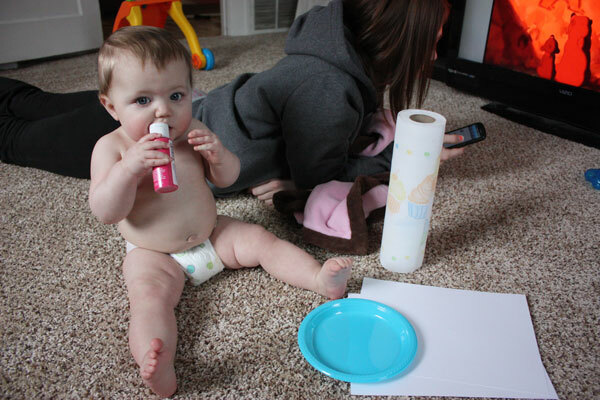 Oh, papertowels are also very helpful in keeping the paint off of everything else! 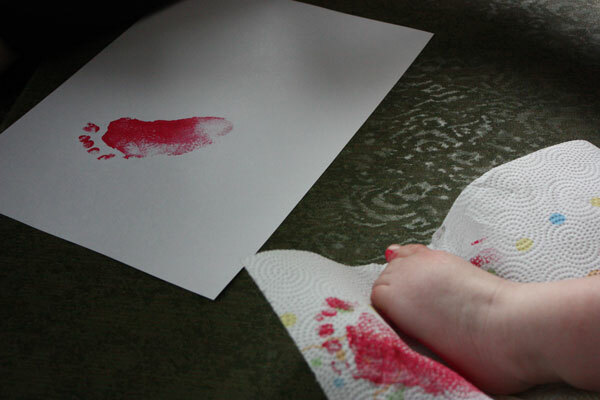 With the help of my lovely sister, we picked Em up and got a good footprint on some cardstock, success! 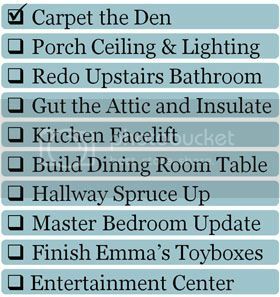 Sorry, no pictures, this was a swift process that required all hands on deck! 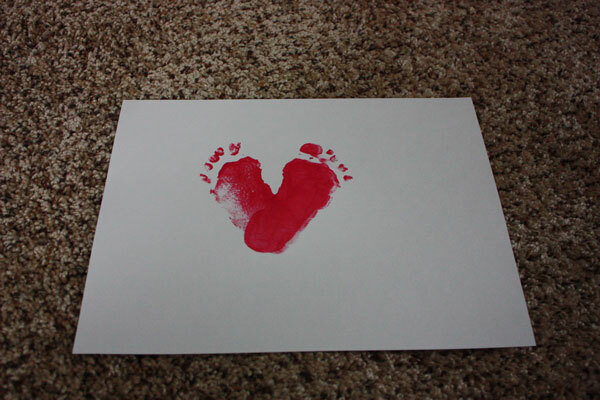 We applied paint to her right foot next, and repeated the picking up of the babe and quickly getting a print, to create a sweet little heart! This project was followed by a swift bath for Emma, she was very excited about that part! This little miss loooooooves bath time! 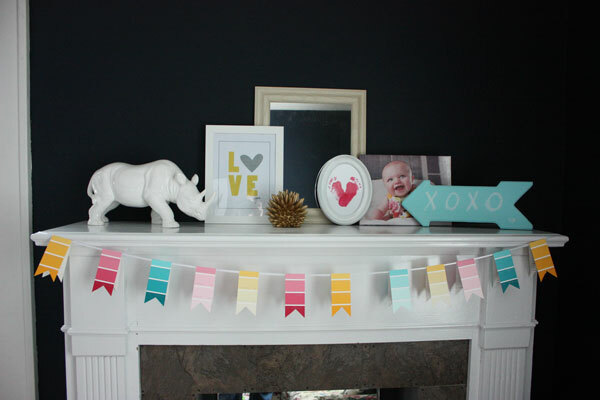 With the addition of a frame found in the attic, it was exactly what the mantle was missing! That little extra touch, makes this “our” mantle. The rhino makes me smile, but the feet make me melt! And, to top it off, it was free 🙂 Have you done any valentines projects this year?! I’d love to hear about them! Oh and for those who have asked, yes, I’ll be blogging about the arrow next week, and I picked up the Brass Urchin by Nate Berkus from a local goodwill. You can find them new at Target, but mine was found on a lonely shelf with one broken point – but that made him only $1.50… which if you know me is a score for this cheap frugal gal!